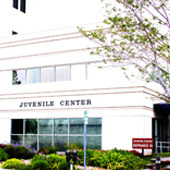 Catalyst for Youth has been bringing weekly art lessons to San Jose’s Juvenile Hall every Tuesday evening since 2006. Volunteers Pam Van Dyck and Lisa Van Dyck teach a variety of art techniques including still life, portraits and zen tangles in B9. Mitzi Shine teaches a similar curriculum in B8. Catalyst for Youth also runs a Scrabble program in a general population unit helping teens increase their vocabulary and learn strategic plays. Its plant based education program, created in 2007 revolves around a garden created on site by minors and Catalyst volunteers within the detention facility. 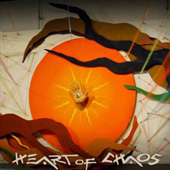 Heart of Chaos (HOC) was created in 2002 with the financial & inspirational support of Catalyst for Youth. The core idea was to provide a venue for emerging and under-recognized artists, writers, poets, musicians, performance artists and photographers to showcase and market their work. Mentoring through communication with established artists enriches both parties and fosters new ideas and inspiration. Today Heart of Chaos is a growing group of dynamic and wildly creative people of all mediums. They have put on many solo, group and community exhibits as well as San Jose’s 1st and 2nd Annual Chalk. Please visit their website for more information about upcoming events. 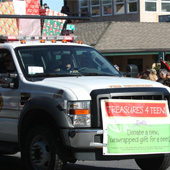 Catalyst for Youth, a charitable and educational non profit organization, offers fiscal sponsorship for select projects and organizations that target a youth and young adult population. As a fiscally sponsored project, you can then grantors who require applicants to be an IRS recognized tax-exempt, charitable organization. A fiscal sponsorship program with Catalyst also benefits individuals who can donate to your project by making their contribution(s) tax-deductible to the fullest extent of the law.